Look for a new diner post every Tuesday in 2019. 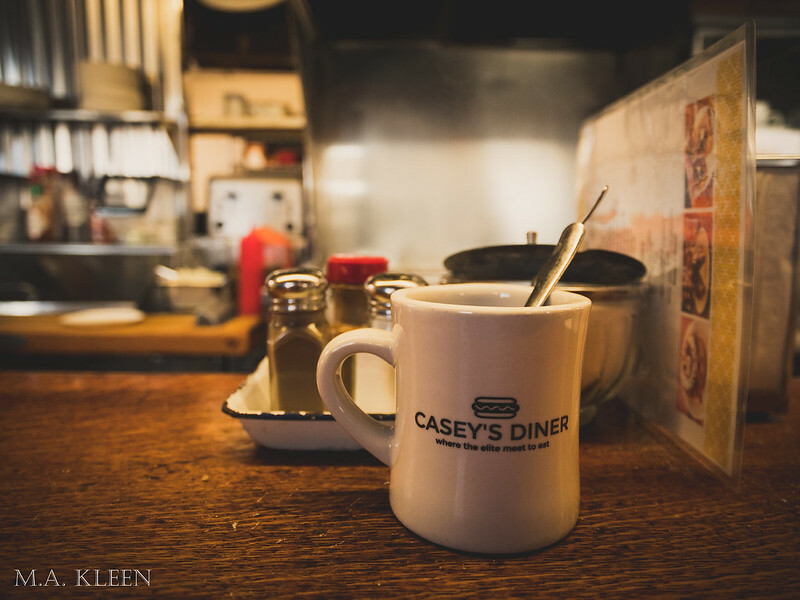 Longtime followers of this blog may recall my 2017 “All-American Diner Tour“, in which I wrote reviews of over two dozen diners in Upstate New York to indulge my own sense of nostalgia and share my love for diner culture. I’m happy to announce that every Tuesday this year, I will be featuring a new diner. Each post will include a short blurb about the model and history, as well as photos. These posts will focus more exclusively on traditional diners, some of which are listed on the National Register of Historic Places. Diners are quintessentially American. They represent affordable dining for the working class, mobility, entrepreneurship, and mass production. The earliest diners were lunch carts pulled by horses. Entrepreneurs parked them outside factories to feed hungry workers as they came on and off shift. Many stayed open 24-hours to accommodate all shifts. Walter Scott began the first lunch cart/wagon service in Providence, Rhode Island in 1872. Soon, specially designed diner cars could be purchased and sent by rail anywhere in the country. Some of the earliest models still have train wheels attached. Manufacturers like the Worcester Lunch Car Company, O’Mahony, Kullman, and Silk City mass produced hundreds of prefabricated restaurants. The original diners were made of wood, and later, of attractive polished stainless steel. Whether you’re a regular reader or stumbled on my website by mistake, I’ve got a lot in store for you in 2019. You’ve probably already noticed a few major changes, with all my posts organized into several main categories (for more info on these categories, check out this post). Monday: Reviews will focus on past or present books and films that piqued my interest, with an emphasis on historical or period films. Tuesday: Spotlight on a vintage diner. If you’ve read any of my past diner reviews, you know I love these greasy spoons. I’ve learned so much about this slice of roadside Americana over the past few years, and have visited dozens of these places. They are so iconic that some have been added to the National Register of Historic Places. Wednesday: An in-depth article or gallery post of a historic site, museum, or battlefield, with a special emphasis on forts and battlefields. If you share my passion for military history, or just history in general, you should be excited about what I have in store for you. Many of these sites are obscure and you won’t find much information on them anywhere else. Thursday: A visit to a historic cemetery. Every Thursday, I’ll post a picture I took of an interesting monument at one of the many cemeteries I’ve visited over the past year. Once a month, I’ll feature a more in-depth post about a historic rural cemetery, many of which are on the National Register of Historic Places. You can learn a lot about American history through these monuments and sculptures. Friday: Fridays will continue featuring photos I’ve taken on my travels, particularly of interesting signs and roadside attractions. Every photo has an individual story, and I hope you’ll experience as much joy viewing them as I experienced taking them. Of course, I’ll still continue posting updates, announcements, and opinion pieces as they come along, as well as some of my own genealogy, but rest assured that there will be at least one regularly scheduled post every weekday in this coming year. I hope you continue to stop by and share my love for America’s wonderful history. For those of you who noticed a dramatic redesign of my website in the past few months, this post is long overdue. For those who haven’t noticed, well, now is as good a time as any to explain these changes. As I began to update my blog more frequently, I slowly realized its old structure just wasn’t working anymore. I needed posts to be easier to find, and at the same time get organized in a way that both made sense and encompassed the wide variety of subjects I wrote about. I decided to organize my posts around general themes, the majority of which would fall under “About” (for announcements, personal appearances, etc. ), “Musings” (for my reviews and commentary), and “Explore” (for my travelogues). I retained separate categories for my fiction and photography, which really don’t fall under anything else. Update: This blog has been completely retired and can no longer be viewed, even at the WordPress address. After nine and a half years, 1,150 posts, and 5,220,000 site views, Mysterious Heartland is finally closing its doors. Well, you’ll still be able to see the archives at trueillinoishaunts.wordpress.com (its original name). It’s no secret posting has been sparse over the past couple of years. As I moved out of the Midwest, I wanted to focus on more generalized travel writing and photography. People seemed to just come to Mysterious Heartland for the top 10 lists anyway, and there’s only so many of those you can write. Thank you for your readership and patronage over the years. I hope you enjoyed reading that website as much as I (once) did in creating it. Update: This blog has been completely retired and can no longer be viewed. Hello friends! I’d like to announce a new blog dedicated to cemetery photography called Memento Mori. If you enjoy cemetery art, sculpture, and history, like I do, you’ll love this new blog. I hope to update it with new photos 4-5 times a week. I grew up with an interest in cemeteries. As an amateur historian, I loved the Victorian Period especially, with its romantic architecture, literature, and art. I hate everything about modern cemeteries, with their flat, cheap, and mass-produced headstones. When I was younger, I enjoyed visiting cemeteries and looking at the artwork, and naturally, I wanted to share what I’d seen. As I got better at photography, I thought back to people like Matt Hucke, also a native Chicagoan, who captured images of this beautiful and haunting artwork, much of which is in danger due to erosion and vandalism. Although I’m not nearly as good a photographer, I created this blog to share some of my work. I hope you enjoy seeing these images as much as I enjoyed taking them! Tinker’s Shadow is now available! My first documentary, Tinker’s Shadow: The Hidden History of Tinker Swiss Cottage, is now available on Amazon Video Direct! Tinker Swiss Cottage Museum and Gardens in Rockford, Illinois has long been rumored to be haunted, but what do its ghosts teach us about the past? Join host Amelia Cotter as she takes you inside and reveals the hidden history of this beautiful museum. This 60-minute film features interviews with museum staff, visitors, volunteers, and researchers. It is a fun and unique way to learn about Rockford’s past. Author Michael KleenPosted on March 26, 2018 July 17, 2018 Categories AnnouncementsTags Illinois, museum, RockfordLeave a comment on Tinker’s Shadow is now available!